I work very hard for my clients by communicating on a regular basis and always promptly returning your phone call, email or text; by being a strong, savvy negotiator; by keeping myself consistently updated with our constantly changing real estate market; by working closely with a large network of professionals so that you are getting the best advice possible about whatever situation may arise, whether its legal, financial, structural, etc., myself and my team at Coldwell Banker have you covered. A vital part of today’s real estate industry is technology, and to that end I provide my clients with state-of-the-art web tools and marketing. Every client of mine is a priority to me and I strive to make every real estate transaction a great experience for you and hope to continue a lasting relationship! Listing your home with me will be a smooth and straightforward process. I will provide you a detailed market analysis which, along with my teams price opinion, will help you determine the optimal asking price. It will also help potential buyers in understanding the unique qualities and characteristics that your home and the neighborhood have to offer. If you need repairs, cleaning services, or moving help, we will create an organized plan together to take care of everything. Next, your home will be aggressively marketed on the latest online advertising and social media sites, giving it tons of local, national, and worldwide exposure! Real Estate agents are some of the most important people in terms of who you need to "sell" your house to, so I'll alert all local agents of your house so they can bring it to their buyers' attention, too. All offers will be brought to you promptly so we can develop our negotiating strategy. Once you accept an offer and reach mutual acceptance, Escrow, a neutral third party, will make sure all agreements are met. Then, Congratulations- your house has just been sold! Buying a home is usually a major step in someone's life, and of course the wants and needs of each person vary. If you are planning to buy right away, or are just starting to look around, let me take you through the process at your pace. I'll bring all new and presently listed homes to your attention, look for rare gems that may not be listed, and negotiate the best possible price on the home of your dreams. With a friendly, yet professional approach, I help my clients feel comfortable about what can sometimes be a stressful decision. Honest, ethical and professional service with a dedication to customer satisfaction and the wants and needs of my clients. Leading-edge tools, programs and marketing. A commitment to help you understand the real estate process and guide you through the transaction from start to finish. With the support of my team and the backing and resources of the #1 real estate firm in Lake Arrowhead, I am able to provide my clients with top notch customer service. I work hard on my continuing education and believe it helps me serve my clients better. As an e-Pro certified real estate professional I join the ranks of a special community of highly skilled and continuously trained professionals who provide high quality and innovative online-based real estate services and understand the needs of the Internet Consumer. The course is designed to help REALTORS® stay at the leading edge of technology and identify, evaluate and implement new Internet business models. I am honored every time I get to meet with potential clients to discuss their real estate goals. We recently sold our home in Twin Peaks and Jill Dayan was our agent. She was incredibly helpful even before the house listed. Jill came by to look at our home and gave us ideas on how to improve the property to ensure interest and a quick sale. She was professional and extremely knowledgeable about the market. Jill kept us informed at every step of the process. She was proactive in helping our house to sell. From selecting the best possible photos and ensuring our listing was advertised where it would get maximum exposure to making sure to hold open houses when the house hunters were out looking so that our time was not wasted. If we had to buy or sell another house in the area we would definitely be working with her. Selling a home can be stressful but Jill's upbeat attitude and enthusiasm made our experience an easy one. In May 2018 Jill was our realtor when we sold our parents house in Lake Arrowhead. She posted it on all the real-estate sites and did a 3 -D Video that made the house look beautiful. It took a while to sell because it was a big house, higher in price and we did not do a lot of upgrades like people want. Our experience with Jill was great and we would work with her again. We highly recommend her if you have a home to sell. She works very hard to make the best deal and understands that it might be a stressful situation for you. Jill Dayan made the buying experience much less stressful than it would have been otherwise. I had some issues that could have been problematic, but Jill calmed me down and made any necessary phone calls to take care of the issues or get my questions answered as needed to keep things moving on a smoothe path. She was always available to me, even beyond normal business hours. She went above and beyond for me and I was extremely happy with the service she provided me. Jill was a fabulous agent! She was so easy to work with. She went above and beyond with working around our schedule, showing us properties that fit our parameters, and always being available for questions and answers. We truly feel like we have a new friend on the mountain. 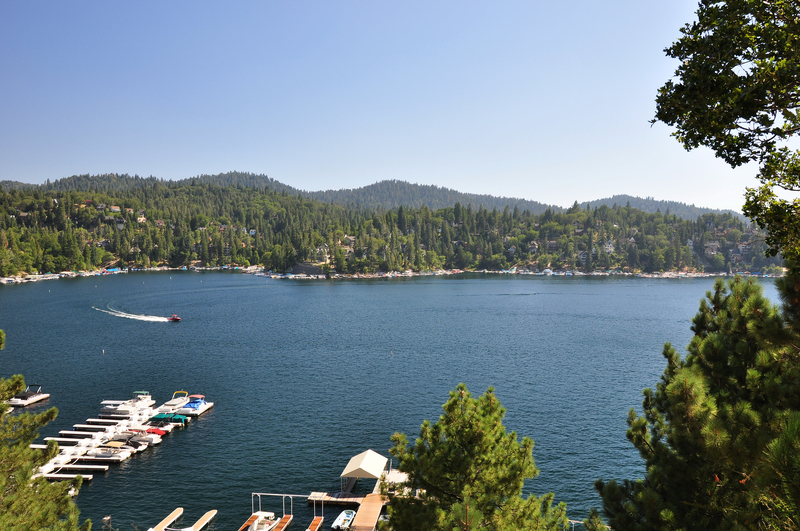 We would refer to any one looking to buy a home in the Lake Arrowhead area. Jill Dayan was absolutely wonderful! While the process of purchasing a home was more stressful than we imagined, she made us feel like we were a priority and helped us make our dream of purchasing a lovely home possible. Jill is very dependable and extremely professional. Working with her was a true blessing. I now consider Jill Dayan a friend and would highly recommend her to anyone that is searching for a new home. Thanks again Jill Dayan! Jill was an excellent realtor who really understood what I was looking for. She helped with all my requests. Was good with follow through. She went above and beyond her job title. In May 2015 I elected Jill Dayan, a Coldwell Banker agent, to represent me who sold my house on Fairway Drive in Lake Arrowhead. Working with Jill was a very positive and satisfying experience. Everybody's situation is different that not every real estate agent understands. Jill did. She molded her professionalism and knowledge into my situation. Many agent are mistaken by thinking that toughness is the key for selling/buying a home. Not true! Jill was firm in decisions but still congenial and never condescending. She sold my home in four months. I highly recommend her to anybody. If I could give more than 5 stars I would! I am a Realtor in San Diego and so I know what needs to be done in order to get a home sold for top dollar. I interviewed 3 agents, 2 who have had years of experience, and neither impressed me. When I met Jill, I knew I had found the right agent. She is attentive, gives great personal attention to every aspect of the sale and made sure I knew what was going on at all times. We needed some work done on the home and she recommended her husband Dave. Not pushy recommendation at all...just that he was available as well. Having had a second home in Lake Arrowhead for 7 years, we have found it hard to find any contractor that does a good job. Too bad we hadn't found Dave before! Both Jill and Dave worked seamlessly together to get the work done before going on the market, and then he also took care of work that needed to be done during escrow as well. Seriously...we could not have selected a better team that Jill and her husband Dave! I HIGHLY recommend Jill to sell your next home! We were from out of town and Jill did a great job in finding us a home. We have purchased many homes over the years and the experience was Jill was outstanding. Very responsive, helpful and knowledgeable about the area and pricing to get us the best deal. Highly recommend. Jill Dayan sold our Lake Arrowhead home and then surprised us by showing up, with her husband, to help us pack our things. She is one of the hardest working real estate professionals, that I have worked with in California. Jill sold me my condo in Lake Arrowhead which I enjoyed for two years. I had to sell the condo due to health problems and she was just as attentive the second time as the first. If you encounter unforeseen issues during your buying or selling experience, Jill is the agent for you. She is extremely pleasant to deal with and quick to respond to any questions. She always has a solution to the most difficult problem. Call Jill for any property in the San Bernardino mountains. When looking for a real estate agent we were hoping to find a kind, patient and knowledgable person to guide us through the complicated process of buying our home. We found all of that and more in Jill Dayan. Not only was she a great source of information, she also was the perfect person to introduce us to the mountain community. She was there for us through every step and always made time for our ambundance of questions. While looking at homes she was warm and inviting to my family members and especially attentive to my children, always going out of her way to make our search enjoyable. We highly recommend Jill for your real estate needs, even if you just have a question she's the agent to call.